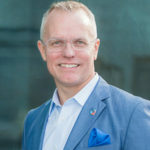 Scott Hoesman, CEO and founder of inQUEST Consulting, is an accomplished and sought-after speaker, executive facilitator, author and senior organizational strategist. Scott is best known for his ability to implement full-scale, long-term people strategies across a wide spectrum of industries and geographies. His approach is based on three strategic pillars that he believes are critical components for sustained success: include, engage and innovate. Scott’s career spans 25 years covering a variety of leadership roles in sales, operations and corporate strategic planning. Prior to starting inQUEST, he led three leading D&I consultancy organizations and held executive roles at Bank One (now Chase). These experiences support his strategic thinking and provide a sound operational and financial approach to his collaboration with clients. Scott’s focus is on helping individuals, teams and organizations realize their full potential. He has deep subject-matter expertise in disability and LGBT workplace inclusion initiatives, and in 2018 was featured in the Crain’s Chicago Business list of Notable LGBTQ Executives. Scott is certified by the Center for Creative Leadership (CCL), Lominger, HBDI and Hogan Assessments. He is the board chair of the Chicago Sinfonietta and sits on the national corporate advisory board for Disability:IN, the board of the Chicago Disability:IN and the AbilityLinks steering committee. Scott is an expert in visioning and strategy, diversity and inclusion, people strategy and organizational development.